Rain gutters are one of the most overlooked and undervalued protections on your home. You don’t notice them, they work unfailingly (that is until you don’t maintain them and they fail), and they protect your home by carrying water away from the home’s foundation. Water that drains into the home’s foundation can cause damage. Water damage can be extremely expensive. Rain gutters can become damaged when they are improperly installed, or when they are left unchecked and uncleaned for lengths of time. 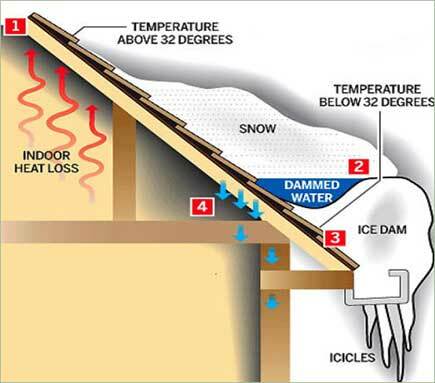 Oftentimes, rain gutters that are not cleared of leaves in the fall, can back up with un-drained water, and that water can freeze and refreeze in the winter months, damaging the gutter systems and sparking the potential for the devastating ice dam. Rain gutters should be installed with downspouts that progress to elbows which move the water out and away from the home. If your home’s rain gutters are damaged, or have just survived one too many Montana winters to be effective, it may be time to consider a new gutter system at Lynnrich. Lynnrich sells seamless rain gutters that seemingly blend into the home’s façade. These gutter systems carry water effectively from the home’s foundation, and maintain a home’s curb appeal in the process. Because the gutters are installed by professionals, and heavy duty hardware is used to attach the gutters to the home, there is little chance for sagging. Seamless gutters also use seamless hangers, so the old, more invasive and noticeable, method of hanging gutters is obsolete. Also, certain products such as gutter guards, which prevent leaves and grass from going into the gutters and clogging them, while, at the same time, allowing water through, make the gutters practically maintenance-free. The gutters sold at Lynnrich come in numerous color choices to match or contrast with your home’s siding. Also, even though the gutters are seamless and maintenance free, gutters will still include elbows, downspouts, and miters that travel water away from the foundation. If you have any questions about a new gutter system for your home, call Lynnrich Siding today. Steel siding is virtually maintenance free, but it attracts grime, dirt and pollen as much as paint or brick will. Siding can get damaged. Here are three tips to keep your siding looking like new. Baseballs, basketballs and soccer balls hitting the side of your home can cause the siding to crack. If you can move the soccer goal or basketball hoop, it can protect your siding. When you’re mowing, be mindful about rocks being thrown from the mower. Don’t let your kids lean their bikes against your siding. Keep the grill away your siding. If you have trees close to your home, keep them trimmed so the branches don’t damage your siding. Before you use any cleaning products on your siding, read the labels. Don’t use any product that contains an organic solvent, such as chlorine bleach, furniture polish or nail polish remover. Check with the siding manufacturer to see what products are safe to use. Most manufacturers recommend using a soft brush or cloth to clean the siding. Be wary about using a power washer. Again, check the manufacturer’s recommendations for limitations on pressure before washing. You can find a soft-brush that attaches to your hose to make cleaning the siding easier. If you use soap, make sure to rinse the residue completely so that it doesn’t leave marks on the siding. A good cleaning solution is 30 percent vinegar to 70 percent water. This solution will also work on your windows. Start at the top of your home and work down. 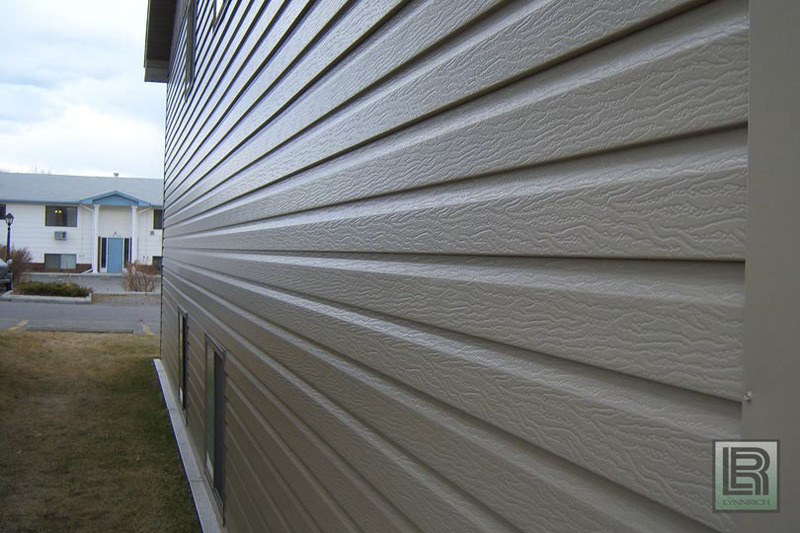 Insecticides and herbicides can cause your siding to become discolored. Storms can make siding come loose and cause cracks in the siding. Small cracks and breaks expose your home to moisture. Inspect your siding at the beginning of spring and the end of fall to make repairs quickly and prevent major damage to your home’s infrastructure. The time and effort you spend taking care of your siding each year will pay off because your siding will last for years to come. Energy Efficiency is becoming a popular topic. Energy efficiency within the home is delegated throughout the appliances, the siding, the roof, the insulation, etc. While everyone considers most of these areas of the home, many people forget how much energy is lost through a window. Most homes, even remodeled homes, have never had the windows replaced. Windows are often looked at like the studs in the walls, it’s always in place doing its job. But, it’s definitely an area within the home that can be improved upon. 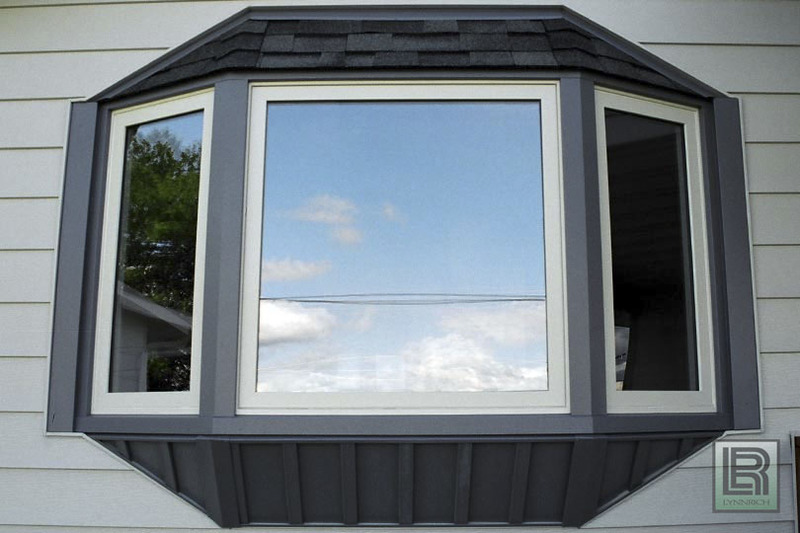 Lynnrich is a dealer for Infinity Windows, which will not only look beautiful as a replacement window, but will also be very energy efficient. Here’s a few ways in which a replacement window by Infinity Windows, might be the best option for you. When your considering a remodel of an older home, your probably considering what details will enhance your homes beauty. Infinity Energy Efficient Windows come in all types of styles and sizes, even finishes, that will enhance the beauty of the home. These styles range from the simple single-paned awning window, to a large, bowed-front bay window. Because you have to replace the windows in your old home—it’s expensive to have to worry about ever having to replace windows—Infinity windows are incredibly tough and dependable. These windows are rated for extreme temps both low and high, and they have a limited lifetime warranty—what’s not to like about that! Also, the windows are very energy efficient, which not only means a substantial savings on your energy bills over older, more non-efficient windows. Consider this: your windows are drafty and old, but the character of the casing and the frame evoke a certain charm, making it incredibly difficult to be rid of the beautiful windows, regardless of inherent problems. But, there’s a window out there, that can be trimmed out in a similar way to those beautiful windows, mimicking the same qualities that you’ve loved, but these new windows are more efficient and more dependable. If you think that you can part with those old windows, give the replacement windows from Infinity Windows a shot. For all of your energy efficient windows needs, please contact Lynnrich Windows and Siding today! Your home’s roof and siding take the brunt of the elements. And, because these components of the home are constantly battered by wind, rain, snow, and hail, you will need to replace them, or at least fix them. Roof replacement happens. Especially here in Billings, Montana where the summer storms can drop great quantities of large-sized hail onto our roofs, weakening it to the point of replacement. But how do you know if your roof needs to be replaced? There’s the obvious—call a roofing contractor post-storm for an inspection—but there’s a few things that you can do, on your own, to determine if your roof needs to be replaced. For starters, any home with an asphalt shingled roof should have the shingles replaced after twenty years. If your roof is considerably younger, inspect it. There’s the option to go up onto the roof from a ladder to inspect the shingles, but this isn’t always safe nor practical. You can get the same idea of the condition of the roof, when you stand back from the home and look at the shingles through binoculars. You’re looking for anywhere that shingles are peeling-upward, maybe some have big fissure-like cracks through them, or maybe there’s complete sections of shingles missing—if this is the case, don’t hesitate to call a contractor, a leaky roof can cause a lot of damage if left unchecked. Another area to check for roof-wear is in the attic. When the sun is bright, go up into the attic and turn off every light. Inspect the underside of the roof at the areas of the chimney stack or the stack vent—any place where there is flashing installed to seal out the elements under the shingles. If there’s light passing through anywhere near the flashing, even tiny, pin-holes, the flashing probably needs replacement and you’ll probably need a large-scale repair, or possibly even a replacement. If you find that there’s significant damage to the roof, call your roofing contractor. Lynnrich carries quality products such as Highlander laminate shingles, which offer not only great protection, but also a uniquely dimensional appearance to the roof when installed. Seamless siding is as beautiful as it is strong. Made of steel, with a natural look of wood grain, it’s still highly resistant to rust, hail and color fade. 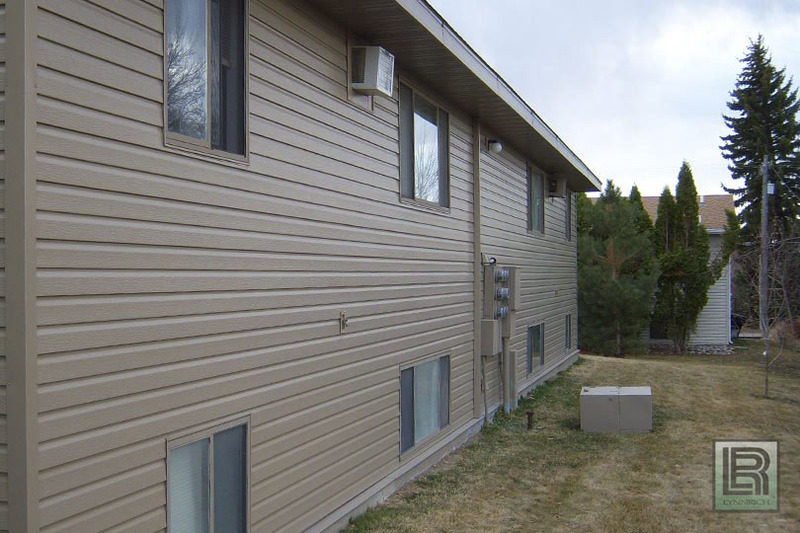 Seamless siding is virtually maintenance free, although, every once in a while, it will need to be cleaned. For those with vinyl or wood siding, a power washer might be overkill; the highly pressurized spray of the washer could possibly dislodge panels of siding or damage the panel. Cleaning vinyl or wood siding may also require the use of chemicals. For seamless siding the power washer is the best tool that you can use. Just mix up a solution of soap and water to use with the pressure washer. If you have never actually used a pressure washer before, it may be wise to experiment with it on your sidewalk or driveway: the force of spray from the pressure washer can be explosive. Before you clean the siding, make sure you disconnect the electricity at the breaker. You should always be careful when using water—especially a power washer!—near electrical outlets. Most every home’s exterior electrical outlets have some type of cover in place, and be sure that these covers are in use before you spray down the siding. Before you use the power washer, use a brush or a long handled broom to loosen the dirt from the siding; a bucket of water nearby to dip the brush into will help. Set your power washer to the lowest setting while you are spraying on the soap: you want the soap to cover the siding, if the washer is set to high it might blow the soap from the siding. After you have soaped up a section of the siding, use a garden hose to clear the soap. It’s easiest to work like this in sections, because you don’t want to allow the soap to dry to the siding—dried soap wont hurt the siding, it’s just counterproductive. Seamless siding is built to last, and minor cleanings from time to time are all that it will take to ensure that the siding continues to look spectacular. 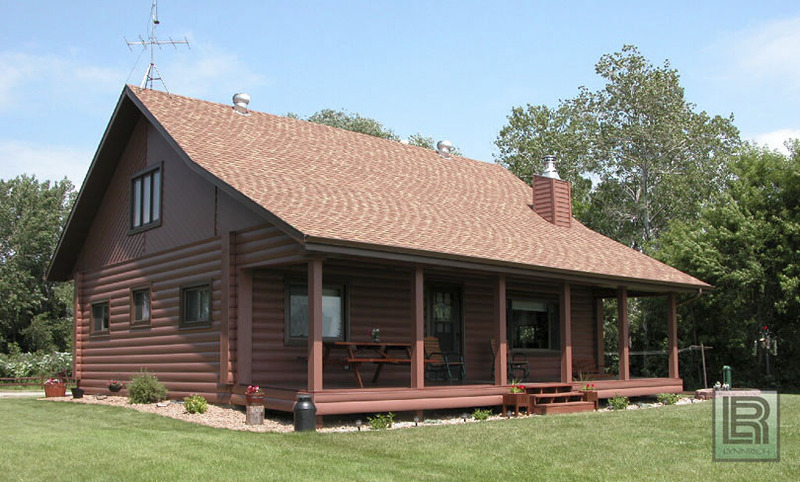 If you are interested in seamless siding, please contact us today! You’re not going to be in the market for a new home, often. In fact, many people find that if they’ve built that perfect custom home, they want to live in it for years, maybe forever— good construction will withstand time. But, what many people don’t consider, when they’re purchasing a new home, is the land around the home—the lot. While landscape is much more easily changed then, say, the amount of square footage in the home, it’s still something that should be given consideration. 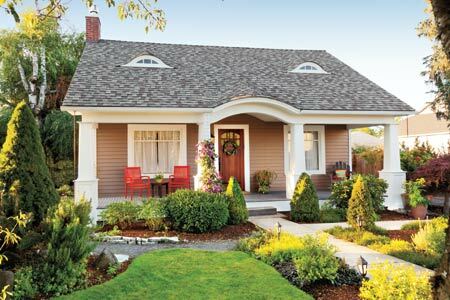 Consider the curb-appeal of your home. Will a concrete driveway, leading up to a garage, suffice as the home’s only initial walkup, or would a path made of stone, or pavers, or stamped concrete that leads from the street to the front door compliment your personality and style? Is the front yard all grass, or are there decorative islands of stone and shrubbery? Consider the backyard of the home. Many people today are building enormous food gardens, or kid-play-areas. If you’re an in-and-outdoors type of person, you’ll want your style and the area around the home to reflect your style. Decks and porches are great places to spend time outside on your own property, enjoying the outdoors. Consider how the home will be built. If it’s just one level, maybe even a stamped concrete patio would suite your needs, although multi-levelled homes might be well-equipped with a multi-level deck. Three tiers of space on a deck leaves plenty of room for entertaining guests. A front porch, or a sun porch—places for reading, and enjoying your morning coffee while the warm rays of the sun creep up the walls. Front porches are great ways to enjoy a summer evening, enjoying someone’s company, or enjoying the serene quiet of your neighborhood. Regardless what type of person you are, the outside of your home will play a part in your overall, customized home design. That’s why you buy a fully custom-built home from a reputable contractor, because your getting the entire package—everything you want—in one place. If you are looking for roofing, siding, windows or doors to add to your home for curb appeal, please contact Lynnrich today! If you want to reduce your impact on the earth and minimize the carbon-footprint that you leave behind, consider green-roofing options. Whether you are refurbishing or building, implement a roofing-material that is eco-friendly and energy-efficient whenever possible. These options will also provide a roof that can protect your home and function for many years to come. Living roofs. A living roof is an ideal way to replace the vegetation footprint absorbed by the area taken up by your home, and will provide vegetables, produce, and foliage to enjoy. These roofs are heavy, and most homeowners will find that they need to reinforce and add support to their home’s structure before implementing. These are a great prospect for large, flat-roofs. Living roofs will attract wildlife; plan on the upkeep from these visitors to your property. You can’t plant it and forget it; living roofs require maintenance- just as a garden does. Consult with the experts to ensure the plants that you grow don’t have intricate root systems that can interfere or damage the home over time. For instance, trees are not ideal for living roofs. Recycled roofing. Recycled materials are eco-friendly and cost-efficient. These might be found via the shingles that you use or the timbers that you salvage. Tile roofs. Tile roofs reflect heat and maintain energy inside the home, which could result in seeing utility savings on monthly bills. Tiles are recyclable and will last for hundreds of years. Tile roofs are heavy, however, and typically involve professional handling and installation for best results. Wooden roofing. Cedar and wood shakes are recyclable and eco-friendly. They reflect less heat, and due to the uneven surface, don’t necessarily maintain energy inside the home. To optimize their potential, paint the shingles white before installation. Since wood is not fire-resistant, it also makes sense to plan on treating wood roofing with some sort of fire-retardant, as recommended by roofing manufacturers and professionals. Reduce the carbon-footprint left by your home with an eco-friendly, green roof. Talk to roofing contractors and professionals to find out the most viable solution for your distinct property, as well as to learn of other options that may be suited to your structure. Let these suggestions inspire you to find a way to utilize recyclable and living options that give back to the world around you. Contact Lynnrich today for all of your roofing needs.